Click on the images for a close up view of these delicious, gourmet cheeses....! Applewood is an English treasure. A farmhouse Cheddar with a naturally smoky flavour, smooth texture, and a dash of paprika make it deliciously different and keep its enthusiastic fans happy. First created in 1965, Applewood has stood the test of time and can now be found in slices, wedges and even snack sticks – for whatever your meal requires. 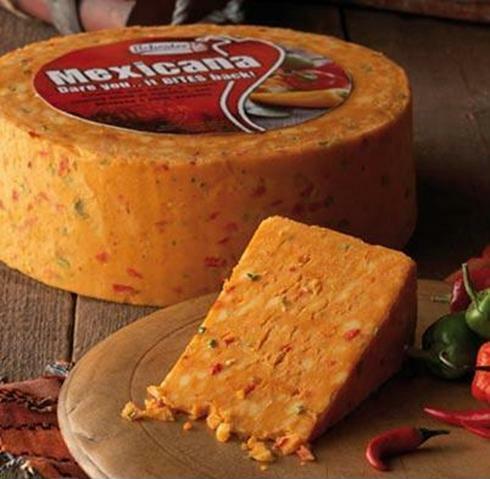 Cheese lovers, you have been warned: Mexicana is not for the faint of heart (or of palate)! By combining Cheddar with a healthy amount of bell peppers and hot chilli spices, it’s cheese with bite.But these ingredients also make it a colourful and vibrant favourite of all those who enjoy a little heat in their cuisine. There is now even an extra-hot version of Mexicana available, but we’d only recommend it if you really fancy a challenge! A cheese of contrasts in more ways than one. Ashlynn has a striking monochrome appearance thanks to a pure white interior set against a dark ash-coated rind and a thin layer of charcoal running through its centre. There are also interesting contradictions in the flavour. The paste is fabulously buttery, but a spear of lemony sharpness pierces the richness and opens up intriguing savoury depths and a tingle of spice. The breakdown that develops beneath the rind becomes increasingly runny and intense as it matures. Ashlynn won best new cheese and best soft at the British Cheese Awards (BCAs). Pop over to the supplier's website here. Sporting a wrinkly alabaster coat, underneath which lies a mousse like paste that is as white as snow, Blanche is a sensuous little cheese. At two weeks old, there's a perfumed aroma of dark forest honey on the nose, which carries over in the final flavour - think honeysuckle, herbs and a peppery tingle. But the cheese intensifies as it matures with a gooey layer just beneath the rind. Clara is Blanche's dark, brooding sister and sprinkled with a layer of ash, which makes a telling contribution to the final flavour and texture. The paste is slightly denser and much creamier with a buttery flavour cut through with lemony notes and hints of freshly cut grass, before it unfolds into a long savoury finish. The dark grey rind contrasts against the brilliant white paste making Clara a star of the cheeseboard , but it is also easy to slice into portions for salads or for melting. The history of stilton can be traced back to the early 18th century. It remains one of the World's best known and loved cheeses to this day.With its slightly open texture and creamy background it melts and crumbles easily and is one of the few cheeses that freezes well. 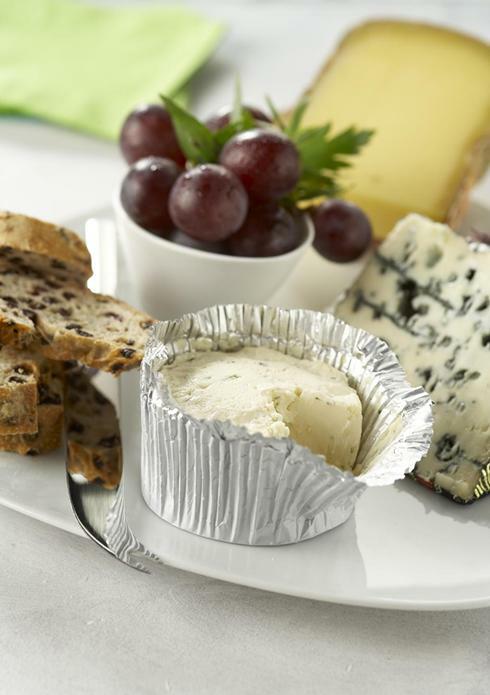 Quintessentially English, Stilton has its own Trade Mark and is an EU protected Food Name. Stilton even has it's own National Week! Learn all about this stupendous British cheese here. Gevrik is a full fat goat's cheese produced in Trevarrian on the North Cornish coast. It has a clean and fresh taste with a wonderfully nutty flavour. It develops a creamy, melting texture as it matures. It is made using 100% English goats milk and the name 'Gevrik' translates as 'Little Goat'. A Cheshire cheese made in Cheshire from Cheshire milk - offering true provenance! 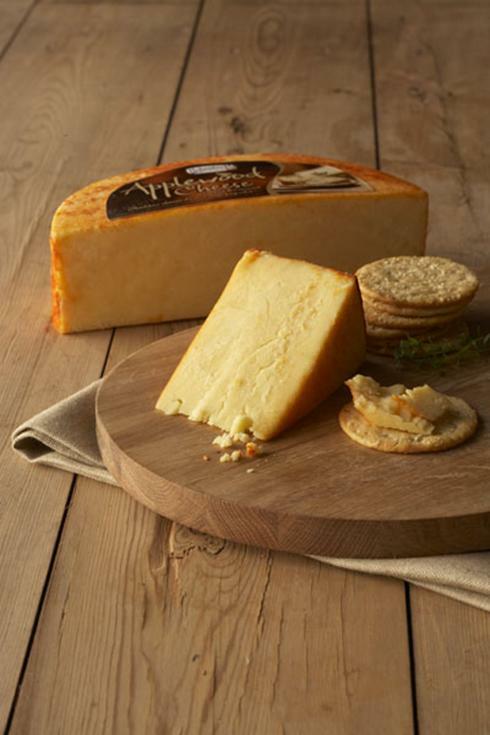 The cheese is characterised by its crumbly moist tangy and creamy finish. Produced in Worcestershire at Cheese Cellar Dairy, this luxuriously soft and creamy goat curd is made from raw goats milk sourced from farms local to the dairy. The goat curd has a citrus note with a clean goat flavour. The curd offers a plethora of uses from sweet to savoury. A creamy cheese with a mild, fresh flavour and a soft, edible white rind. Lubborn Somerset Brie is a traditional ripening brie which has a core that softens as the cheese ages. The curd is the colour of straw, and, as it ripens from the outside in, it becomes softer, richer and a fuller flavour develops. The creamery which makes Lubborn Somerset Brie pioneered the craft of making soft-mould cheese over 30 years ago in the UK. Learn more about the luxurious Lubborn here. Capricorn® is the favourite brand of goat's cheese in the UK. It has a delicate velvety-soft white coat. The taste is mild, clean with a slightly nutty flavour whereas the texture is firm and crumbly. As it ripens from the outside towards the centre, the white curd becomes softer and creamier and develops a fuller flavour. Capricorn Somerset Goat's cheese® is made in Somerset with locally produced goat's milk. 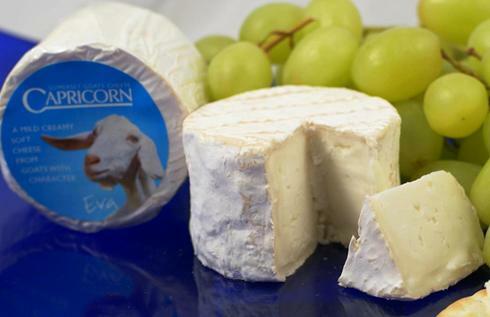 Learn more about captivating Capricorn Somerset Goat's cheese here. Paysan Breton Brie Pays is manufactured at the Ancenis Creamery in the heart of the Val d’Ancenis on the edge of the beautiful Loire Valley in France. An unpasteurised cheese, it has a soft flowing consistency when ripe, with a rich full bodied flavour and characteristic aroma. Over the years, Lanquetot has built up a close relationship with small producers from Normandy to achieve a common goal: the best quality cheeses. 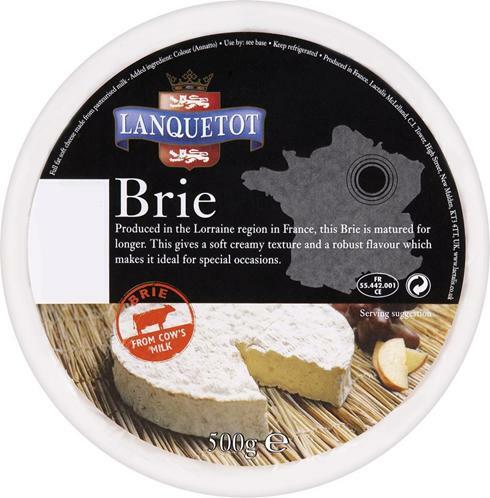 From Petit Brie with its robust flavour and creamy texture to Brin de Paille with its soft consistency and velvety flavour, Lanquetot brings exceptional quality to soft cheeses and is sure to delight however you choose to use it. Brie de Meaux is an unpasteurised cow's milk cheese made in the Ille de France, north of Paris and has been a designated AOC product since 1980. It's name comes from the Brie region and the town of Meaux. Aka the 'King' of French cheeses, it has a distinct earthy/mushroom flavour. The aging time for this cheese is 6-8 weeks and throughout the ripening period, cheeses are routinely turned by hand. Produced in Normandy, Le Rustique Camembert is a soft ripened cows' milk cheese characterised by a rippled coat and creamy yellow interior. 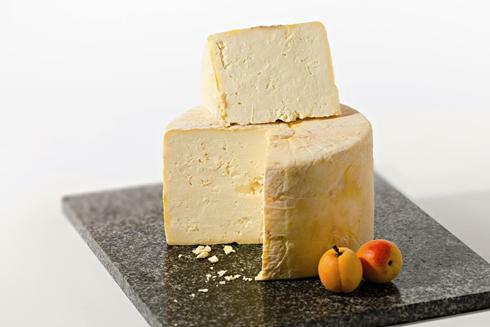 It offers a distinctive yet balanced flavour which gradually evolves as the cheese ripens. With a tremendously full flavour when ripe, Camembert Pays never fails to make an impressive centrepiece on a cheeseboard and is equally delicious when baked as a starter or snack. 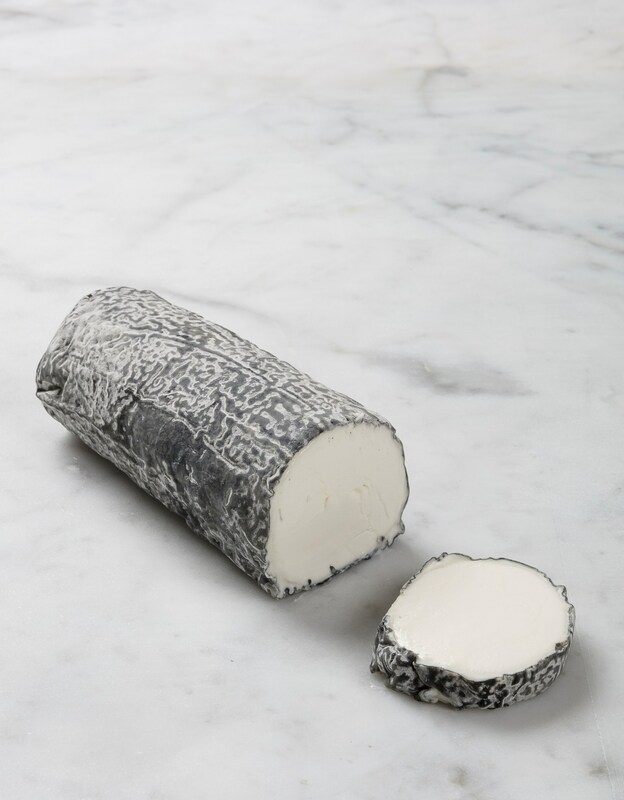 Pié D'Angloys is a lusciously rich and creamy cow's milk cheese, similar to camembert. It originates from the legendary Burgundy region of eastern France. Its unctuous heart and authentic looking rind go hand in hand with its distinctive slightly sweet taste, its melt in the mouth texture creates an unforgettable experience. 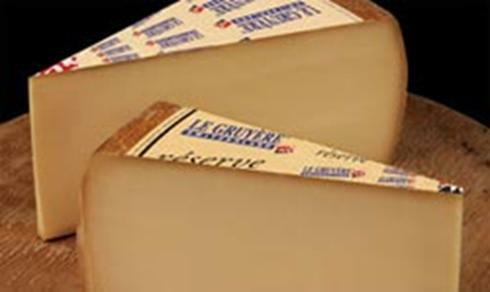 This cheese is produced exclusively by the cheese makers at Cœur de Lion. 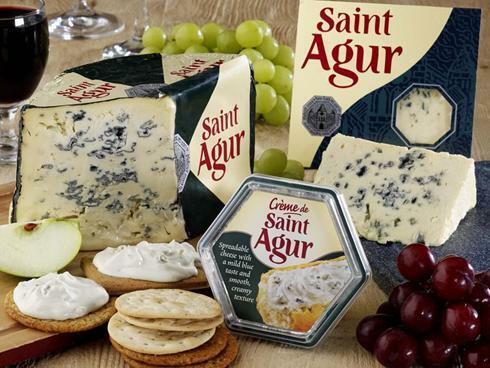 Saint Agur Is a blue cheese made in the village of Beauzac in the Monts du Velay, part of the mountainous Auvergne region of central France. Developed in 1988 by the cheese company Bongrain, it is made from pasteurised cow's milk, enriched with cream, and contains 60% butterfat, qualifying it as a double-cream cheese. 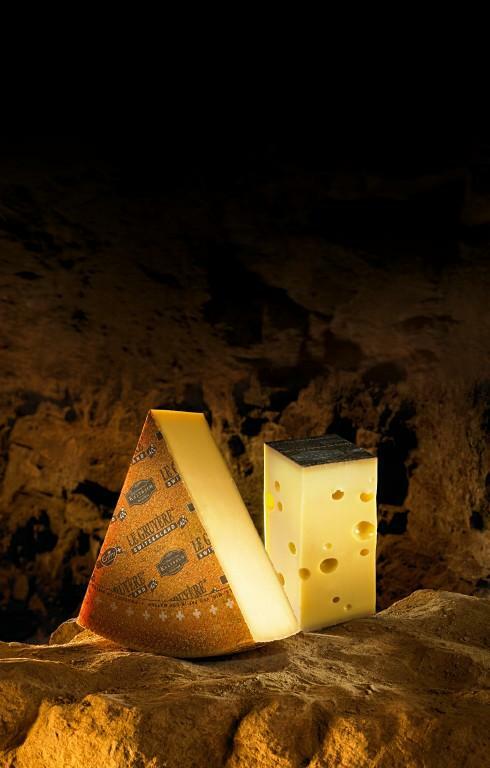 Aged for 60 days in cellars, the cheese has a strong and spicy flavour. According to legend, a shepherd was enjoying his lunch of bread and ewe's milk cheese one day, when he saw a beautiful girl. He left his lunch in one of the Combalou caves to follow her. Upon his return, (without the girl), the shepherd found his cheese covered with mould. Very hungry, he decided to taste it. Of course the cheese was delicious and thus, Roquefort was born. 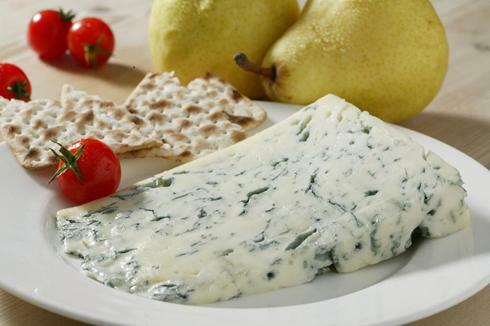 As for documented history, Roquefort was first mentioned in 1070! 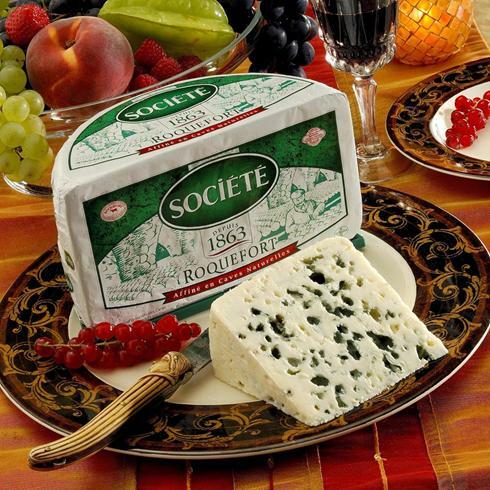 In 1411, Charles VI granted a monopoly for the ripening of the cheese to the people of Roquefort- sur-Soulzon. In 1925, Roquefort became the first cheese to be granted the title ''Appellation d'Origine Controlee'' (designation of protected origin). Today Roquefort is recognised throughout Europe as a product of Protected Designation of Origin. This cheese is slightly moist and crumbly, with distinctive veins of blue mould that offer a sharp tanginess. Roquefort is a complex, well-balanced cheese. On the palate, it starts out slightly mild and sweet before moving into a smoky, then salty finish. Its texture is creamy, moist and crumbly. 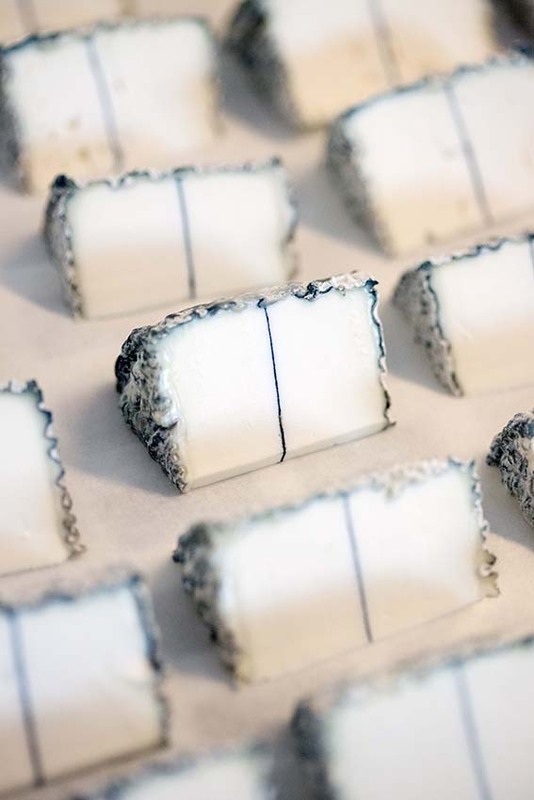 The best selling goat cheese in France, Soignon Petit Ste Maure is made in Poitou-Charentes, famous for its rich history producing some of the finest Goat’s cheese in Europe. Its creamy texture and clean medium strength goat flavour never disappoints, and makes it equally versatile on the cheeseboard or in cooking. First conceived in traditional French fashion in the small Normandy town of Gournay in 1957, Boursin’s special combination of ingredients like garlic, cream, milk, herbs, salt and pepper have blended to create a true French classic – and a cheese whose fresh, unique flavour everyone can enjoy. Today Boursin is marketed in more than 35 countries spread across five continents – confirming its status as a cheese of international quality. Expect a thick, creamy texture suffused with a delicate mix of cream, seasonings and spices that will appeal to a wide range of palates. 180 years of history wrapped up in a single cheese, Port Salut still possess the touch of its monastic creators who settled on a ford in the Mayenne river in 1816. An authentic French cheese with a mild flavour and creamy texture, Port Salut can be enjoyed by the whole family in whole rounds, slices or small portions. Hailing from the Basque region in South-West France, this famous cheese was granted AOC status in 1986, enshrining its high quality and traditional regional manufacturing process. 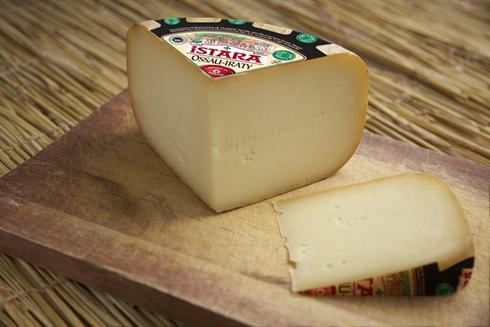 Made from the pure ewe’s milk of only two select breeds of sheep, Ossau-Iraty’s distinctive flavour is said to be influenced by the unique geography of the Basque region and the pride of its people. 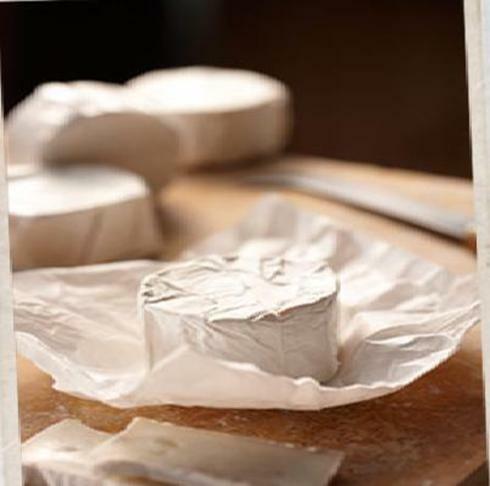 Traditional Gruyère at its finest, le Gruyere AOC is matured for between 5 and 9 months for a full flavour, soft yet firm texture and tell-tale ivory colouring. It's characteristic delicacy and flavour due to the top quality raw milk produced by the cows fed on grass in the Summer and hay in Winter. Once the cheese has been identified with the cheese dairy and the cheese mould, day and month of production, the name Gruyere AOC is added. This guarantees authenticity. 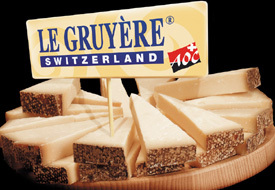 Learn more about the Gruyere AOC and find some interesting facts and ideas here. Made in the high pastures of the Alps and Jura regions during the summer, the variety of grass and plants – many of which are only found at altitude – give this cheese its truly distinctive flavour. 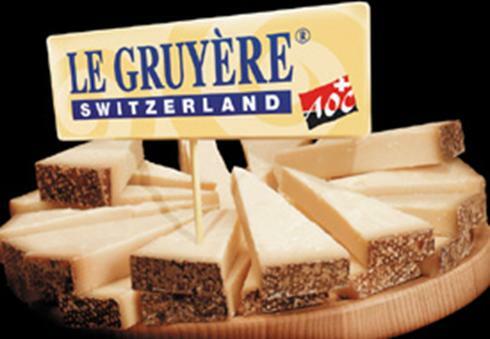 Through a longer maturing process of 10 months or more, Le Gruyère réserve offers you their most strongly-flavoured cheese. Fruity, tangy Gruyère is a Swiss legend among hard cheeses and the unique aging process in Kaltbach’s sandstone caves turns their Gruyère into a very special cheese. Matured for at least 12 months, Kaltbach Gruyère AOC has an unmistakeable rustic brown patina, a crumbly body and a lingering after-taste without bitterness that’s sure to win over any cheese-lover. From the Appenzell region of Switzerland, this award-winning semi-hard cheese is made according to a secret recipe and 700 year old method. Appenzeller Extra is washed in a ‘mysterious’ herbal brine and matured for at least 6 months to produce a spicy, fruity and strong, flavour. The ‘Extra’ label is a guarantee of quality, one that’s only given to cheese which have been successfully matured to perfection. 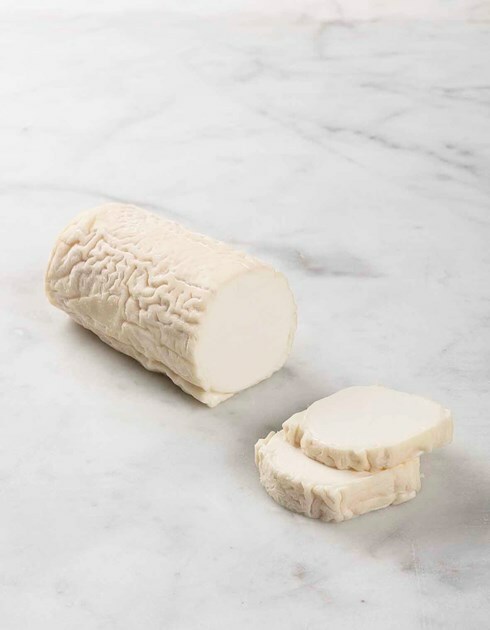 First produced by the monks of Bellelay Abbey in the Bernese Jura mountains, Tête de Moine (which literally means ‘Monk’s Head’) is a semi-hard cheese with a silky, melt-in-your-mouth texture. It is straw yellow in colour with a spicy, fruity aroma. 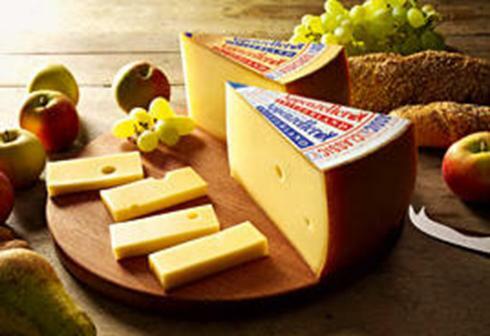 Though only officially created in 1977, Leerdammer traces its history back to 1914, and two entrepreneurial Dutchmen – one a cheese-maker and the other a cheese distributor. Both reached the height of their respective professions, and when their paths eventually crossed in 1970, they banded together and decided to create an alternative to the dominant Gouda and Emmental cheeses. 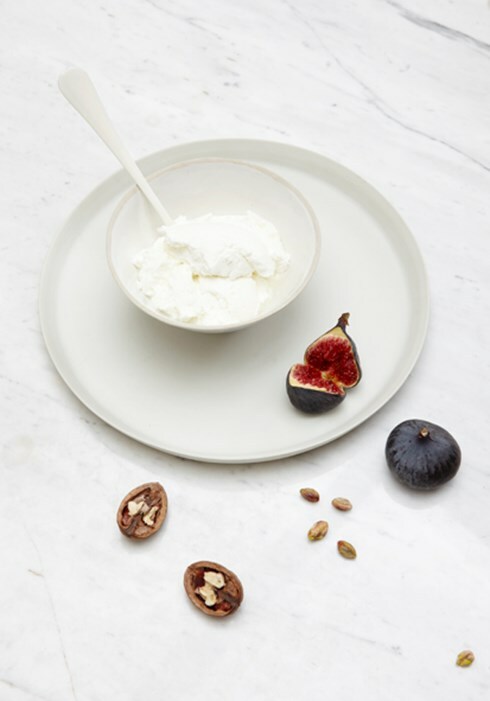 And so, the Leerdammer wheel was created – a semi-hard cheese with an instantly recognisable flavour, hinting at hazelnuts, with a irresistible creamy texture. 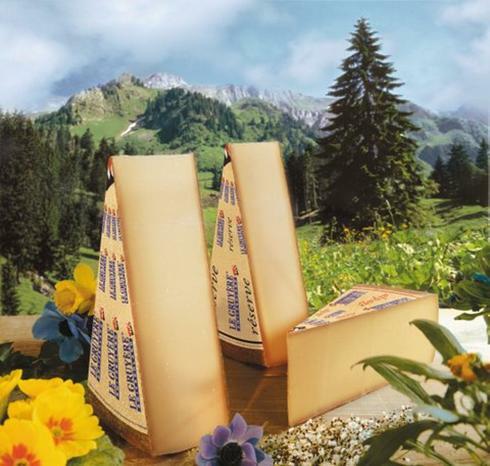 Today, Leerdammer is the leading cheese brand in Germany and is growing in popularity across Europe. For over 900 years this famous Italian cheese has been produced from unpasteurised cow’s milk in the area around Parma and Reggio Emilia in Northern Italy. Typically for 2 years (but no less than 12 months), Parmigiano Reggiano is hard, slightly dry with a crystaline texture and has a sweet and fruity flavour. 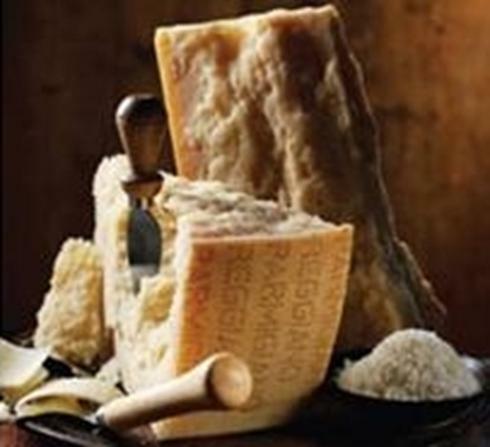 Read more about authentic parmesan cheese and find delicious recipes at www.parmigiano-reggiano.it. This semi-soft, blue-veined cheese draws on over 1100 years of tradition in Northern Italy. Matured for approximately 80 days, the Picante (or Mountain) Gorgonzola has a complex and spicy flavour, but one which also isn’t too strong for a blue cheese. Meanwhile, its Dolce (or Creamy) cousin is matured for around 60 days, giving it a softer, creamier texture and a milder spicy flavour. Learn more about Gorgonzola and find great recipes at www.gorgonzola.it. 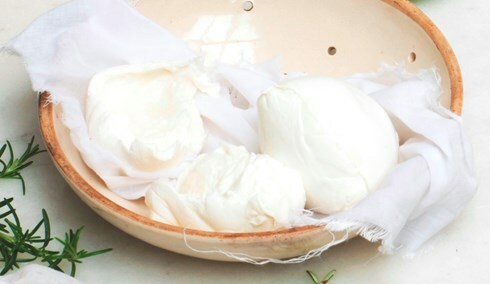 These balls of fresh, full-fat soft cheese made from the milk of the water buffalo are produced exclusively in the area around Naples in Southern Italy. Soft, with easily separating layers, Mozzarella di Bufala has a characteristically stronger flavour than cow’s milk Mozzarella. For the best way to serve mozzarella, and other great tips for using it to create amazing new dishes, head to www.mozzarelladop.it. Collebianco Buffalo Mozzarella is softer in texture and more delicately flavoured than Mozzarella made with Cow's milk. A very soft, moist consistency that is fairly chewy with a mild, savoury flavour. It has a porcelain colour with a rind which is about 1mm thick. 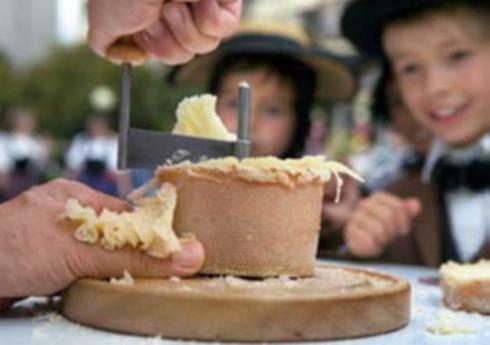 The cheese is made using traditional artisan techniques. The Literally translated, Dolcelatté means 'Sweet milk', and is reknowned for its sumptuous, creamy softness tempered with a distinctive but mild blue flavour. Made exclusively by Galbani Dolcelatté® is extremely versatile- fantastic on its own, great as an addition to pasta, pizza, risotto and more! 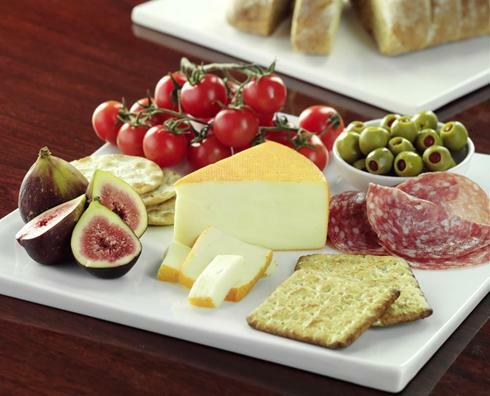 Pick up some fabulous recipes and learn all about Galbani Dolcelatté® here. Manchego is a cheese made in La Mancha from the milk of Manchego sheep and is aged from between 60 days and 2 years. It has a firm, slightly oily, compact consistency and often contains small unevenly distributed air pockets. The cheese has a distinctive well developed flavour, which is not too strong, creamy with a mild piquancy and whilst consumed in Manchego since time immemorial is now rapidly becoming a firm favourite on the cheese boards in the UK. Manchego has protected status in the EU through a PDO. 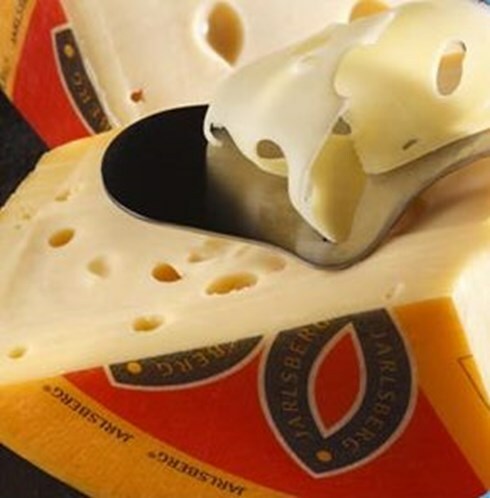 Jarlsberg is a mild, semi-soft cheese made from cow’s milk and characterised by large round holes. Since its introduction in 1965, it’s buttery, rich texture and mild, nutty flavor have served to make it the number one-selling brand of speciality cheese in the US – not to mention a great choice for both for cooking and snacks. You can now also choose between Jarlsberg regular and Jarlsberg Lite for even greater versatility and more enjoyment of this unique culinary experience.